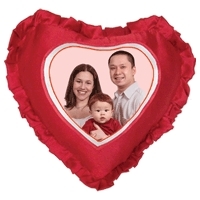 Present this Heart Shaped Red Pillow with a customized photo. 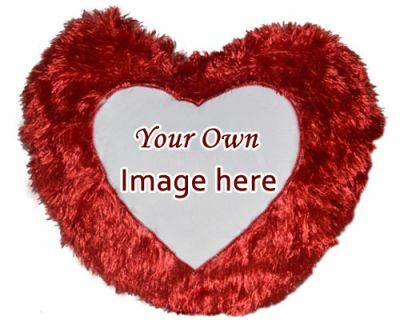 Size: 12"x12.5" pillow size. 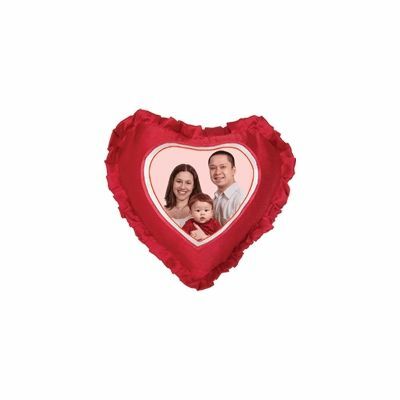 Red Heart Shaped Pillow is taken as a gift as wife or husband by printing the photo of your family on it to surprise them.You can print your own selected photo on it by sending them through online. Please place an order 2 to 3 working days before delivery date if your location is other than vijayawada.